Item # 314244 Stash Points: 5,195 (?) This is the number of points you get in The Zumiez Stash for purchasing this item. Stash points are redeemable for exclusive rewards only available to Zumiez Stash members. To redeem your points check out the rewards catalog on thestash.zumiez.com. 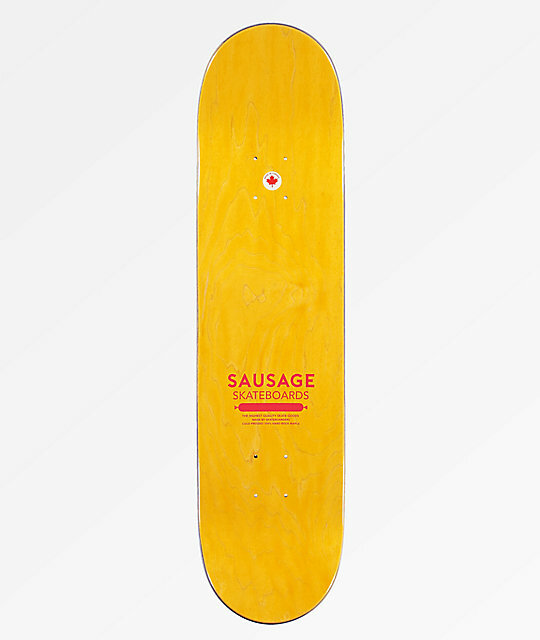 For a mellow shape and responsive ride, the Sausage Zach Rockstad Green 8.0" Skateboard Deck is an ideal option. Extremely mild concave provides an old school feel and stable landing surface on larger aerial tricks. Short and tapered kick tails create quick pop and help cut weight for a lively feel and over-all ride, making this deck a great option for plaza riding and flip tricks. 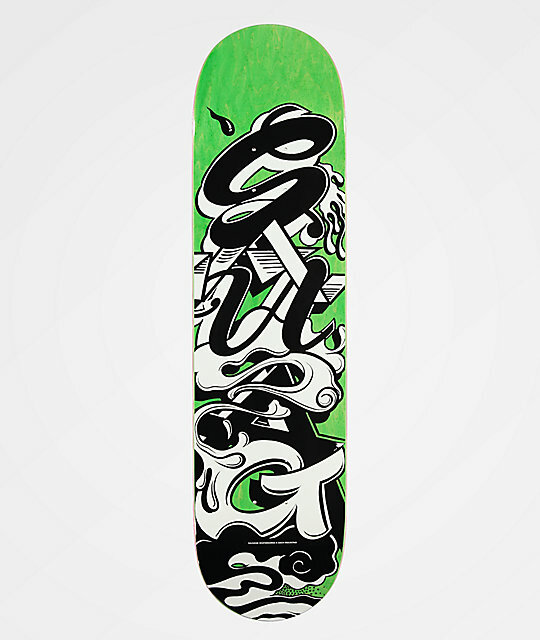 Zach Rockstad Green 8.0" Skateboard Deck from Sausage Skateboards. Signature art by Zach Rockstad.